We are presenting today at the IREP Forum a new way to assess the health of a brand using social networks data. . The proposed method analyses the social connections of the brand – its “social network” – in order to uncover, indirectly, the strength of its association with perceptual image dimensions. This analysis is a quantitative one, based on counting the common numbers of followers, friends or likes. This method is really innovative, as it does not try do directly measure the association of a brand with its perceptual dimensions. It is not based on declarative survey data but rather based on behavioural data. – Survey based image research, which cannot be run frequently or reactively enough, because of high deployment costs. – Text mining analyses of social media. Even if there has been much progress in language and sentiment analysis, there is still a sizeable human investment involved in those approaches. As it does not rely on any semantic analysis, our method can potentially be fully automated. It thus opens interesting perspectives, from a research and economic model point of view: it offers a relevant, reactive and cost-effective health brand tracker. It can be based on any social network, including for example Instagram and Weibo. The approach was successfully implemented for several product categories (automotive, perfumes). 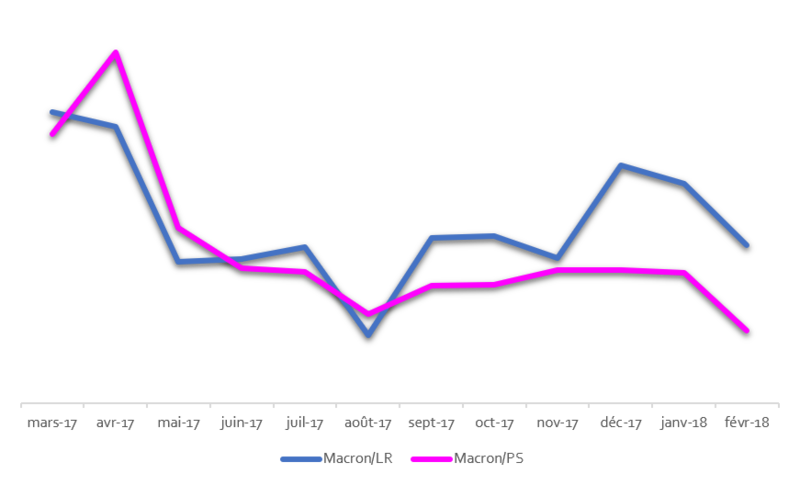 There is a high correlation between the results obtained with the new method and existing Brand Health trackers. This allowed us to get an external validation of the method. 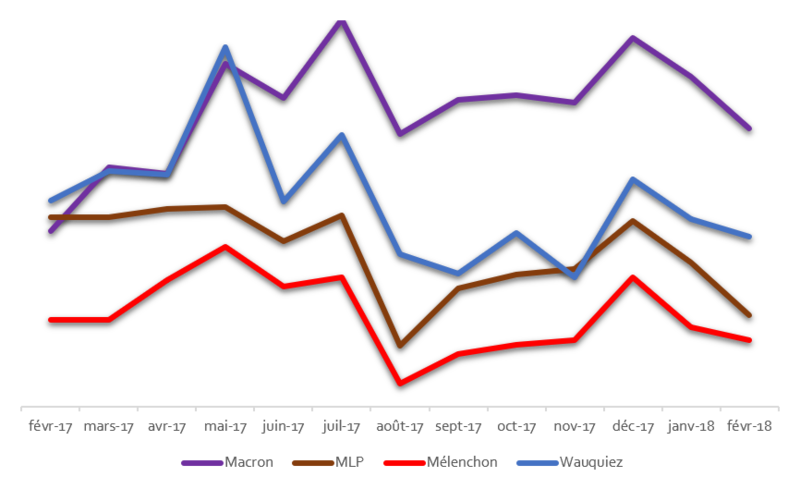 In order to illustrate the benefits of the approach, we collected one year of data on French politics. The results we show below are based on Facebook “Likes”. We first measure the association between the main political leaders and their own party. 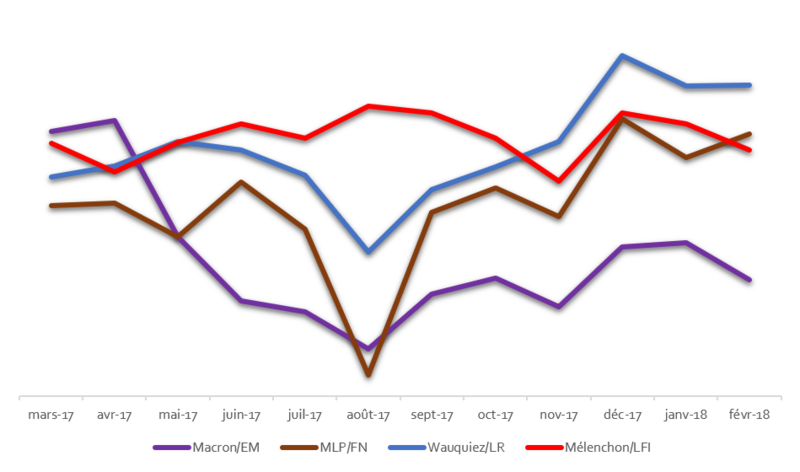 As can be seen from the graphic below, Jean-Luc Mélenchon – far left La France Insoumise (LFI) – is the leader with the highest association with its own party after the presidential election in May 2017. Marine Le Pen – far right Front National (FN) – went through an air pocket after her poor showing in the presidential debate, but is now back at the same level as its LFI competitor. 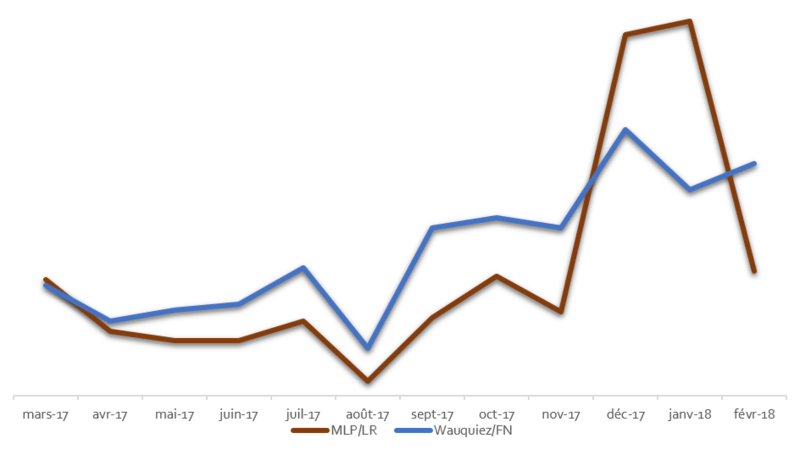 Laurent Wauquiez – rightwing Les Républicains (LR) –, after his election as the leader of LR in December 2017, is even more associated with its core supporters than the LFI or FN leaders. As for Emmanuel Macron, his association with En Marche if the weakest of the 4 main leaders. This can be seen , en même temps, as a strength and as a weakness: the other leaders have a smaller core base, but strongly united around their chief. En Marche seems to be more aloof from its leader. Emmanuel Macron’s en même temps is now a staple of French politics. 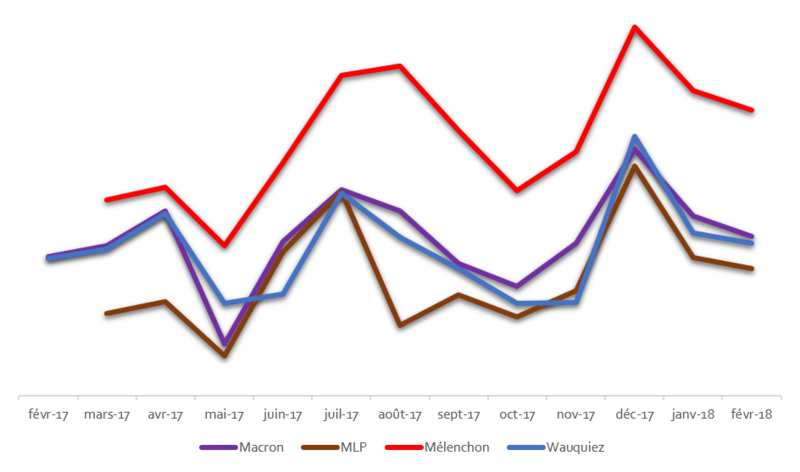 The graphic below indeed shows a similar association between Emmanuel Macron on the one hand, and the right wing LR or the left wing PS (Parti Socialiste) on the other hand, from March 2017 until summer. The association with LR is stronger in the last months, which is in line with classical political barometers. Will the FN and LR leaders come closer together? At least, their supporters’ behaviour seems to go in that direction since the fall of 2017. 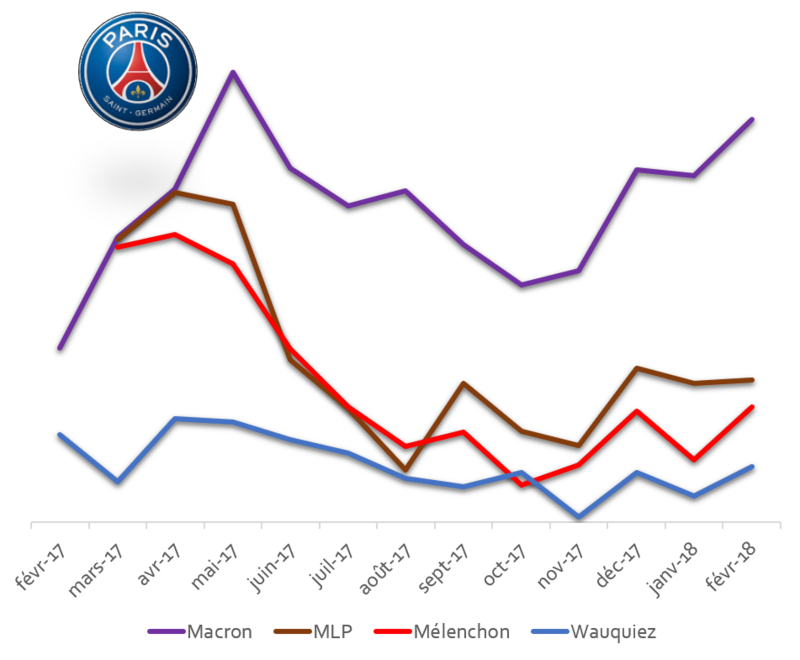 As can be seen from the graphic below, the associations Marine Le Pen /LR or Laurent Wauquiez/FN are significantly higher at the beginning of 2018 than before. Is Emmanuel Macron the president of the rich? This seems to be confirmed by our analysis below, where we have measured how much he is associated with luxury brands (LVMH, Dior, Cartier,…). This association is stronger than for other political leaders, right from his election. The same exercise can be performed at the other end of the spectrum. We have measured the associations of the same political leaders with NGOs dedicated to social care: restos du cœur, Emmaüs France, Fondation Abbé Pierre, Croix Rouge,… Jean-Luc Mélenchon is closest to those NGOs, the three other leaders been at the same level. 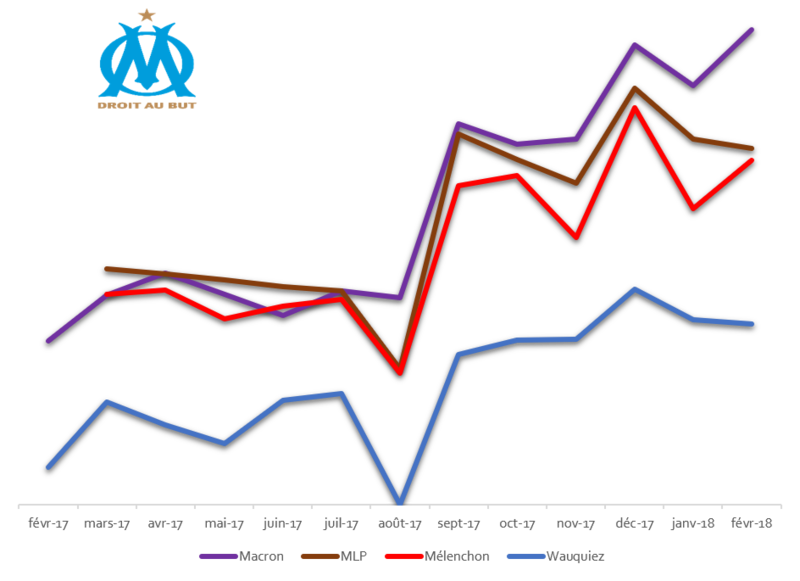 The left/right opposition is not the strongest French divide: even deeper is the divide between supporters of Paris Saint Germain and Olympique de Marseille. Emmanuel Macron manages to be associated (en même temps) to both. He is the only one among the 4 main leaders to achieve that performance. Could the tool we propose become a substitute to survey based brand health trackers? The parallels with the development of the less expensive and quicker online data collection is tempting. 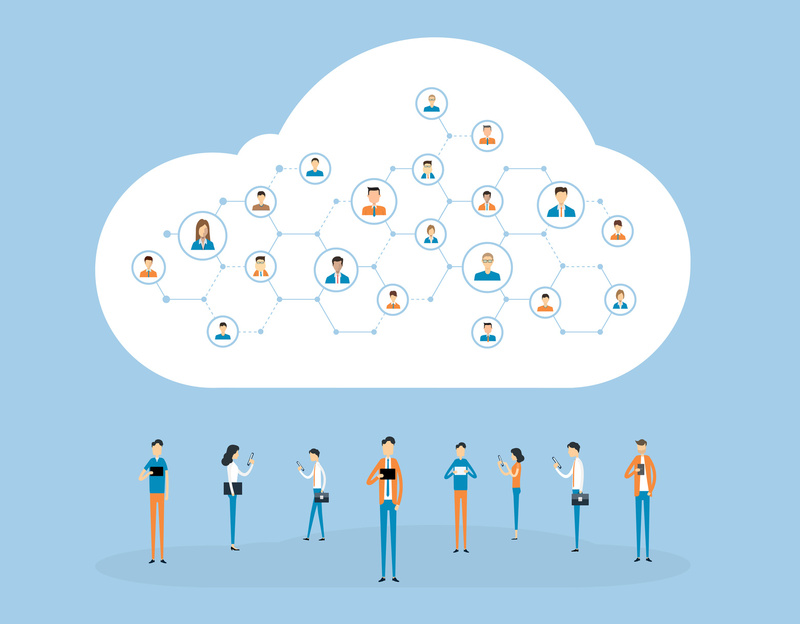 As for online data collection, it might lead researchers to rethink the needs of their clients. At this stage, it is an interesting complement. Because of its reactivity. And also, in terms of geographical coverage, in countries where a survey-based tracker would be too expensive or complex. It is also actually more than a complement in the sense that it is based on behavioural rather than declarative data. And finally, it can be used for other purposes than brand health trackers: uncovering brand ambassadors, measuring the proximity between brands, identifying influencers, assessing reputation.